Coming in clutch with its second trailer with nearly six months before its premiere, Disney Animation released a new look into its next feature, Ralph Breaks the Internet: Wreck-It Ralph 2. And it’s a doozie. 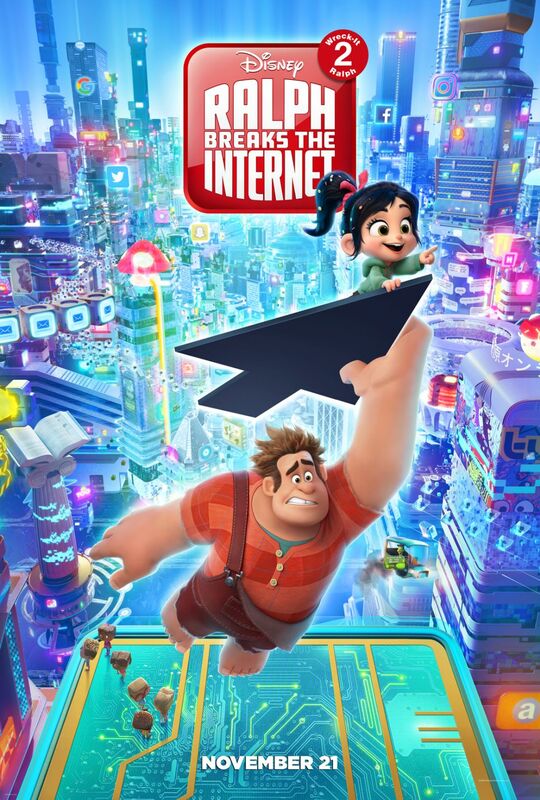 Debuting November 21 just in time for Thanksgiving, the film launches Ralph and Vanellope into the Internet, a world much different from their coin-slot arcade games. Yeah… woah! This trailer navigates is terrain strategically, showing off less about the plot itself and really honing in on the hot topics surrounding the movie’s release so far: its Disney Easter Eggs and its befuddling title. No one expected the film to directly address its namesake, so it’s interesting to know Disney is on the same page as everyone else here… but still going forward with the title anyway. Womp womp. 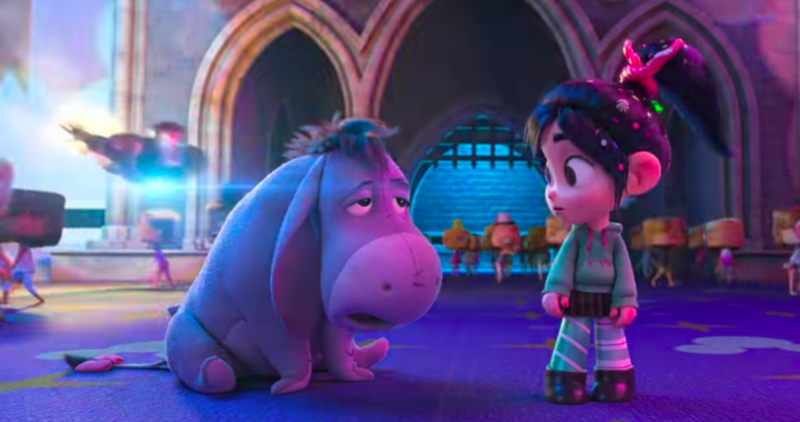 One of the huge buzzes around the movie since D23 Expo 2017 has been Vanellope venturing into “Oh My Disney,” a real Disney website that’s represented in the film by what amounts to a haven for all things Disney… Muppets, Star Wars, Disney Animation, Marvel, Pixar, you name it. Can you spy Dumbo, R2-D2, Sorcerer Mickey, and EVE? And check out that fly-by of Iron Man! And of course, there’s that much-talked-about Disney Princess scene that everyone’s been waiting for. Snow White, Cinderella, Aurora, Ariel, Belle, Jasmine, Pocahontas, Mulan, Tiana, Rapunzel, Merida, Anna, Elsa, and Moana are all present, as are a few of their friends. How about Mulan with that kick! Hilariously, Pocahontas’s hair is in a never-ending state of blowing with the colors of the wind. Also, throughout the trailer Merida is noticeably annoyed with all the princess regalia (shown in that last still above). That’s a nice touch that could lead to some fun interactions and perhaps even a self-aware commentary of the Princess brand. 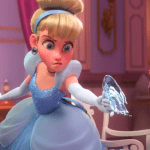 Even though this marks the first time several of the princesses have appeared as fully-rendered computer-animated characters, the animation design of the princesses doesn’t exactly match the model of their original looks, even for those whose original form was CGI. For example, Anna’s face has a notably more square look and Rapunzel looks a bit more childlike. Their styles do all look consistent with each other, though, so perhaps liberties were made in order to hone in on a cohesive style. Hopefully we’ll hear more about the process behind those decisions in the months to come. Seeing all of these things together is sensory overload for any Disney fan. Are you bouncing off the walls with excitement, or are you cautious about all this? Comment below!